It’s hard to believe how easy it is to make massive amounts of high quality homemade vanilla extract in just a little bit of time. 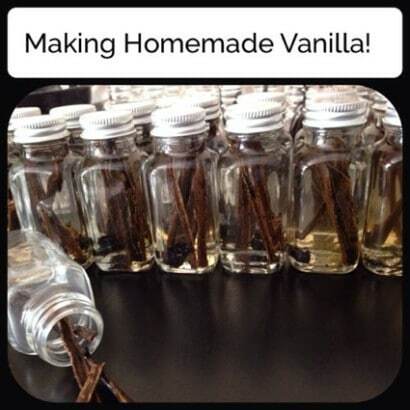 Easy Home Made shares their process for making homemade vanilla and tips on stretching the usefulness of the ingredients. A tip from us – let the leftover vanilla beans dry thoroughly, then grind them up in a coffee grinder or high performance blender and use the “dust” in homemade vanilla bean ice cream. Yum! Store the vanilla extract in functional glass bottles. These make great gifts that are inexpensive!